Allu Sirish is game for more films! The actor has been receiving offers from budding directors. After a long break, Allu Sirish’s upcoming film ABCD has been scheduled to release next month. “I am pretty confident that the is going to do well,” said Sirish. Trivikram Srinivas, who attended ABCD’s trailer launch as its chief guest, said Sirish should act in more films. “I’m hoping to do more films. I’ve even put together a team to listen to scripts on my behalf. I will definitely do another film soon,”said the actor. 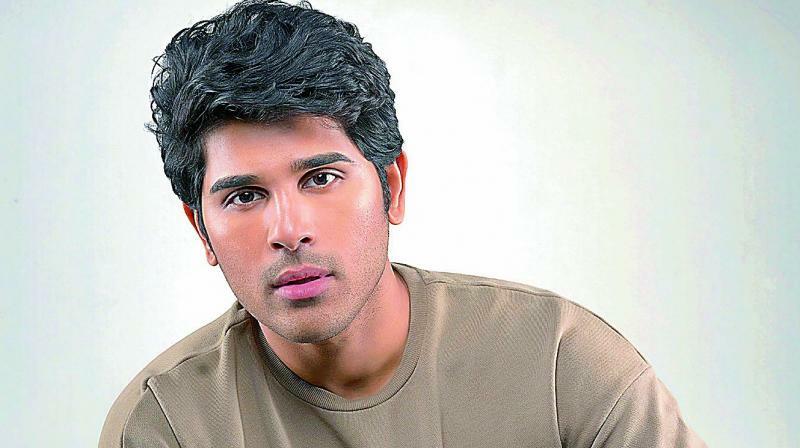 About his previous film, Okka Kshanam, Sirish said that although the content of the movie was good, it didn’t do well because it was released at the wrong time. “Vi Anand is a great director. Had we chosen a better date for the film’s release, it would have done well. Considering that, we’re releasing ABCD on May 17 during the holiday season. Besides, no other big films are releasing around that time,” he explained, adding that he has faith in the content of the film. The actor has been receiving offers from budding directors. “I feel a lot more comfortable working with new directors and t heir out-of-the-box ideas. I would obviously love to work with experienced filmmakers, too. However, a number of budding short film directors have already approached me with some really interesting concepts,” said the excited Allu Sirish. Abhishek Agarwal backs Teja’s Sita!